Thailand’s new Lease law came into effect on May 1, 208. The law is intended to expand protections for renters. Some of the practices that the new law will prohibit are demanding multiple months of rent in advance and locking tenants. The new safeguards are amendments to the Consumer Protection Act and apply to landlords leasing out at that lease five or more residential units. One of the major amendments is that long-term leases can be terminated with 30-days’ notice provided tenants are current in their rental payments and provide reasonable” cause. The new law prevents landlords from over-charging extra charges for things like water, electricity and Wi-Fi. Rather, they must charge only what the landlord was actually billed. Tenants can also not be charged more than one month’s rental amount in advance nor more than one month rent as a security deposit. Landlords may not increase rental amount before the lease terms expires. The punitive action of locking out late paying tenants miss will also be illegal. 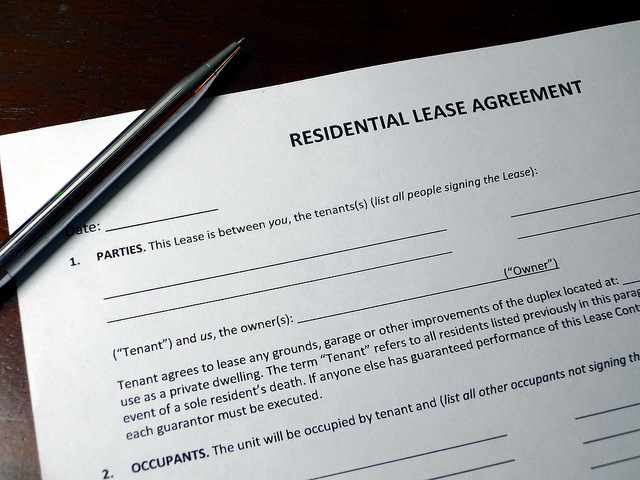 The new regulations require that the type on lease agreements not be smaller than two millimeters. Landlords now must return security deposits within seven days and must pay for routine maintenance and upkeep rather than charging tenants . Landlords violating the new law may face up to a year in jail and 100,000-baht fine per lease violation. That means offending owners with five rentals could be jailed up to five years and fined up to 500,000 baht.